NoCut Light - Self weeding for white & light coloured garments. 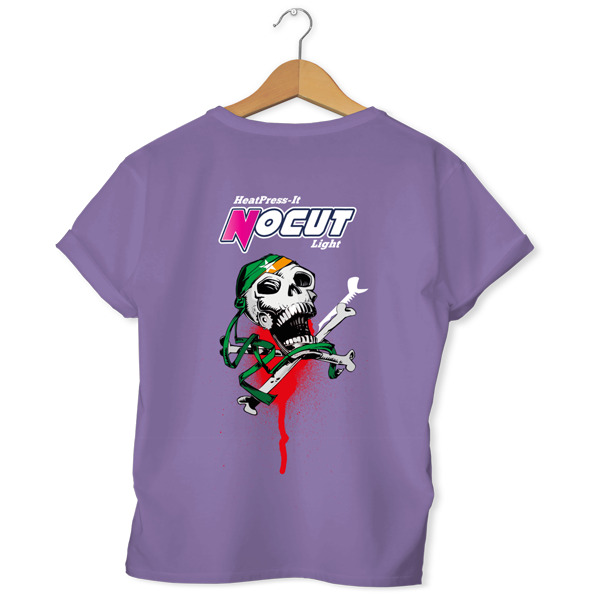 NoCut Light - Self Weeding transfer paper for white & light coloured garments. This application is as easy as it can be. It is a 1-Paper-System for printing onto light coloured textiles. You can print this paper using a standard CMYK laser printer and also the OKI white toner printers. Using the white toner printers, the white toner coverage under the colours enables an extraordinary bright and outstanding result on light coloured garments. This product even works on dark coloured garments [only with the white toner printer] , with less bright colors than on light coloured garments. The application is very easy and gives constant results you can count on.